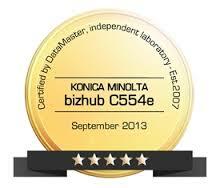 The new Konica Minolta Bizhub C554e is the leading product in the high speed office colour market. Maybe you've considered the Ricoh MPC5503SP but the Konica is head and shoulders superior in every way. Colour quality and machine relaibility is far superior to all of the big names alternative offerings. 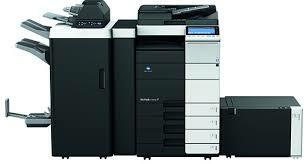 Whish is the best office fast colour model, the answer has to be the Bizhub c554e, don't give Ricoh, Canon or Xerox a second look. 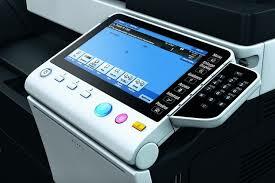 A range of additional paper supply and stapling/finishing options are available call for details.